Home / Articles / What Are the Repercussions of Ignoring Warehouse Risks? If you discover that your warehouse safety isn’t up to scratch or that there are certain risks you could handle better, choosing to ignore them could have serious and potentially fatal repercussions. Every business and workplace is different and, therefore, some are more dangerous than others. A warehouse is a place that demands awareness, training and risk assessments to ensure that everyone remains safe. With so many warehouse risks to consider, some business owners may opt to ignore them in an attempt to save time and money. In this post, we’ll highlight a few of the ways ignoring warehouse risks could prove to be catastrophic and what you should be doing to tackle these risks. In the UK, hundreds of thousands of people injure themselves at work every year. In the warehousing sector, the most common injuries tend to be slips and trips, falls from a height, manual handling and being struck by objects. As a business owner, you have a duty of care to anyone who sets foot in your warehouse. 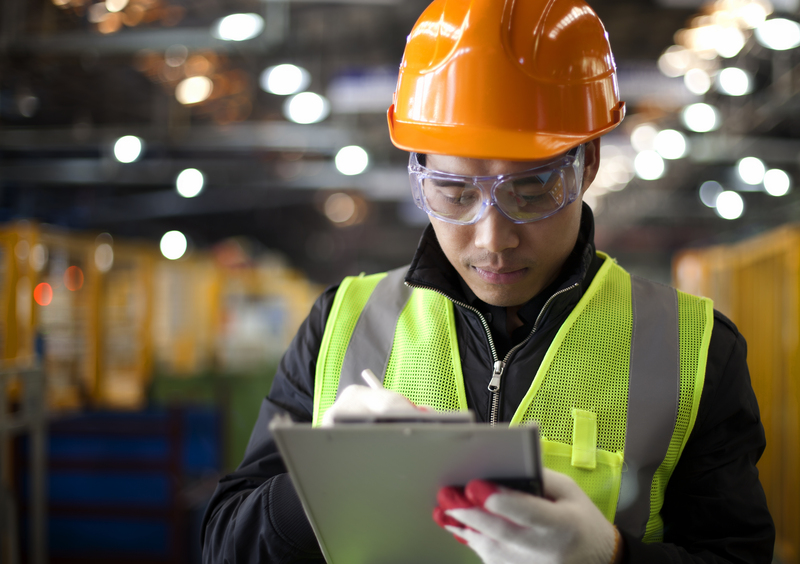 While it’s impossible to completely eliminate the possibility of an accident occurring, you’ll be failing your employees if you choose to ignore warehouse risks. If an accident happens, the worst case scenario is the death of an employee. This is not only devastating on a personal level, but, if it occurs because of negligent behaviour, it will bring your company into disrepute and you’ll likely face legal action. At Storage Equipment Experts, our SEMA-approved inspectors ensure that your workplace complies with health and safety requirements by carrying out thorough racking inspections. This will point out any current or potential warehouse risks and advise you on the best course of action to fix the problem. When it comes to risks and the potential for accidents, the warehousing sector is more vulnerable than most. It’s for this reason that you should do everything in your power to ensure that your employees are as safe as possible at all times. If an employee or anyone else is injured in your warehouse, they would be well within their rights to take you to court. If it comes to light that you were aware of warehouse risks and chose to ignore them, didn’t provide employees with the necessary training or failed to carry out inspections or risk assessments, it’s safe to say you and your business could be in hot water. Depending on the severity of the injury, you may have to pay a substantial amount of compensation — this is especially the case if an employee is killed and their family believes you are responsible. Deciding to ignore correct warehouse safety procedures is reckless, irresponsible and a sign of extremely poor leadership. It not only relays the message that ignoring health hazards is acceptable, but it also shows that you aren’t concerned about the wellbeing of your employees. As a business owner and leader, you should ensure that your workplace is as safe as it can be. In a warehouse, there are risks — due to the storage of heavy objects and machinery, such as forklifts, being used — but with the correct precautions, such as inspections and training, you can create a much safer environment. Employees who feel safe and have faith in their leader will be much more comfortable and happy at work, and improved morale is a fantastic way to boost productivity and success. A vital aspect of any business is safety and, no matter if you work in a warehouse or an office, it’s something that should be a top priority. Here at Storage Equipment Experts, our SEMA-approved inspectors have an abundance of knowledge and experience that ensures that your warehouse’s safety isn’t undone by the risks presented by damaged or unsafe racking. We also provide essential training to employees, which teaches the importance of professional racking inspections and how to perform a risk assessment. Our one-day course can be completed at one of our training centres or your workplace. Upon completion, you and your employees will have an enhanced awareness of warehouse safety and the knowledge to carry out internal racking inspections. Warehouse risks pose a serious threat and are not something to be ignored. At Storage Equipment Experts, our SEMA-approved racking inspectors can ensure that your warehouse meets HSE standards. Get in touch today to find out how we can support your safety needs and concerns.